Recent release “Nature’s Wrath” from Page Publishing author Jason N. McKown the spellbinding story of a group of scientists searching for a solution to the ubiquitous problem of rodent infestation. After creating a genetically manipulated hybrid and releasing it into the environment, it becomes clear that the scientists are no longer in control and the military is deployed to combat the new plague. 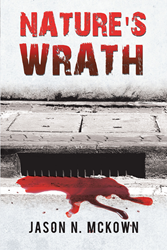 Jason N. McKown, a freelance contributor to a small-town newspaper in central Nebraska, has completed his debut novel “Nature’s Wrath”: a gripping thriller pitting murderous artificially produced organisms against humankind and many native species. In 1989, a group of highly skilled scientists in a specially-designed high-security laboratory complex in Louisville, Kentucky, create a genetically engineered species by splicing together cells harvested from cicadas, earthworms, and African mosquitoes. In early spring 1990, the species is released in the name of rodent control, but when it turns on man and beast, things get ugly, and the military is deployed to stop the killer plague. What happens after the military operation sends a new wave of fear over a medium-size town just outside of Omaha, Nebraska, as a new species, far more dangerous than the bloodsuckers, attacks and kills anybody near it. What happens to the main character, Tony Richards, his cousin James Bledsoe, and three other people associated with them is horrific as they must confront the danger head-on. In the wake of the second incident, the laboratory complex is forced to shut down when dark revelations surface regarding far more sinister and disturbing activities taking place within the facility’s walls. Published by New York City-based Page Publishing, Jason N. McKown’s suspenseful tale was inspired by the famously cloned Scottish Sheep, Dolly, in 1997, raising questions about the moral and ethical implications of interfering with the balance of nature. Readers who wish to experience this engrossing work can purchase “Nature’s Wrath” at bookstores everywhere, or online at the Apple iTunes store, Amazon, Google Play or Barnes and Noble. Page Publishing is a traditional New York-based full-service publishing house that handles all the intricacies involved in publishing its authors’ books, including distribution in the world’s largest retail outlets and royalty generation. Page Publishing knows that authors need to be free to create - not bogged down with the logistics eBook conversion, establishing wholesale accounts, insurance, shipping, taxes, and the like. Its roster of accomplished authors and publishing professionals allow writers to leave behind these tedious and time consuming issues and focus on their passion: writing and creating. Learn more at http://www.pagepublishing.com.